The 2018 Fiddler of Dooney Competition is fast approaching and will once again be held over the October Bank Holiday Weekend. 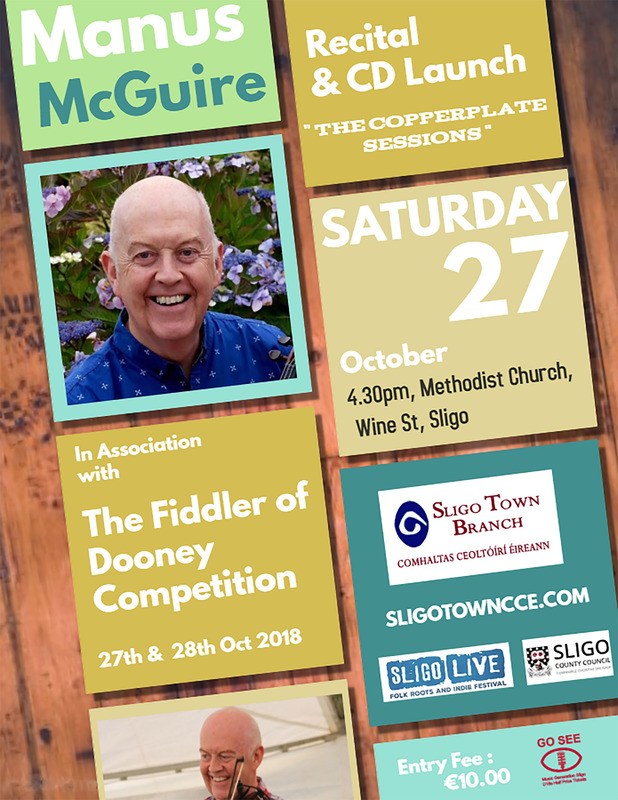 Hosted by Sligo Town Branch CCÉ in association with Sligo Live and supported by Sligo County Council, this prestigious competition attracts the best musicians from Ireland and abroad. Time to get get those entries in. Who won 2017's competition? Find out here. Manus McGuire, renowned Sligo fiddle player, will give a recital with friends at the Methodist Church, Wine St, Sligo on Oct 27 at 4:30 pm. The recital will be accompanied by the launch of his new fiddle album “The Copperplate Sessions”. Manus McGuire won the Fiddler of Dooney Competition, 1970, and was voted “Male Irish Traditional Musician of the Year in the U.S.”. He is founding member of 'Buttons and Bows' and 'Brock Mc Guire Band' and has embraced the trad music of Shetland,The Orkneys and French-Canadian Newfoundland. This is an event not to be missed! Always a highlight of the year for traditional music lovers! Further information on this annual event can be found through the Comhaltas website.